Living in San Francisco is accepting the constant hustle and bustle and acknowledging that there are people everywhere. 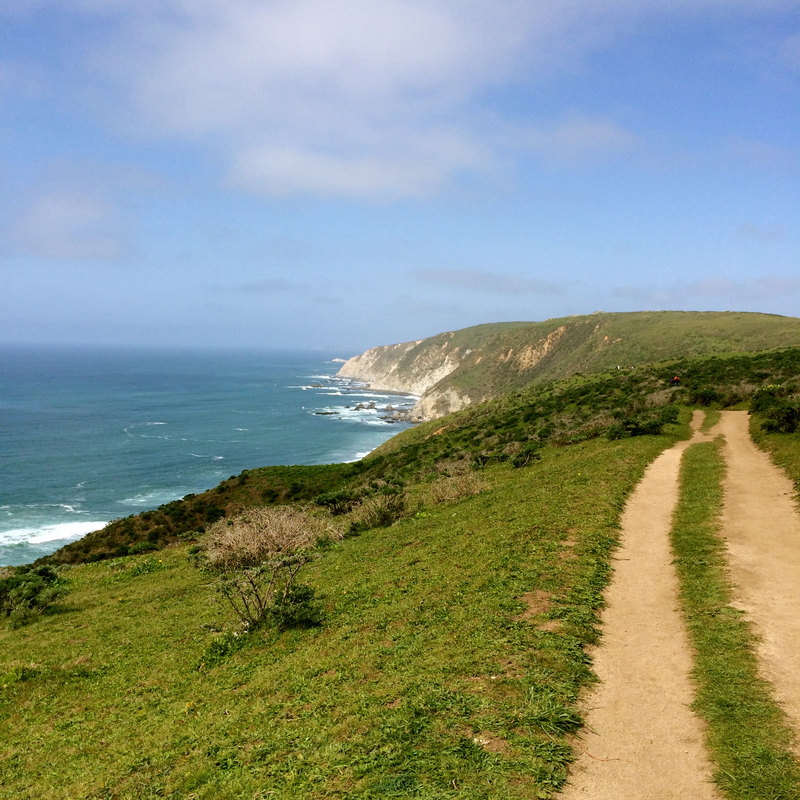 Luckily for those of us who crave some fresh air and space, there are places like Tomales Point Trail. A ten mile hike that takes you out to where Tomales Bay meets the Pacific. Just an hour and a half from San Francisco, a trail exists that is so beautiful, it makes the drive more than worth it. The first few miles of the hike you will encounter many fellow hikers, but the farther out you go (and trust me, it’s worth it to go all the way), sightings of other hikers become fewer and farther between. The ten miles themselves (five out and five back) are not easy, but aren’t impossibly difficult. You traverse rolling hills and end the hike with a climb in sand and although it is tiring, the view is worth it. 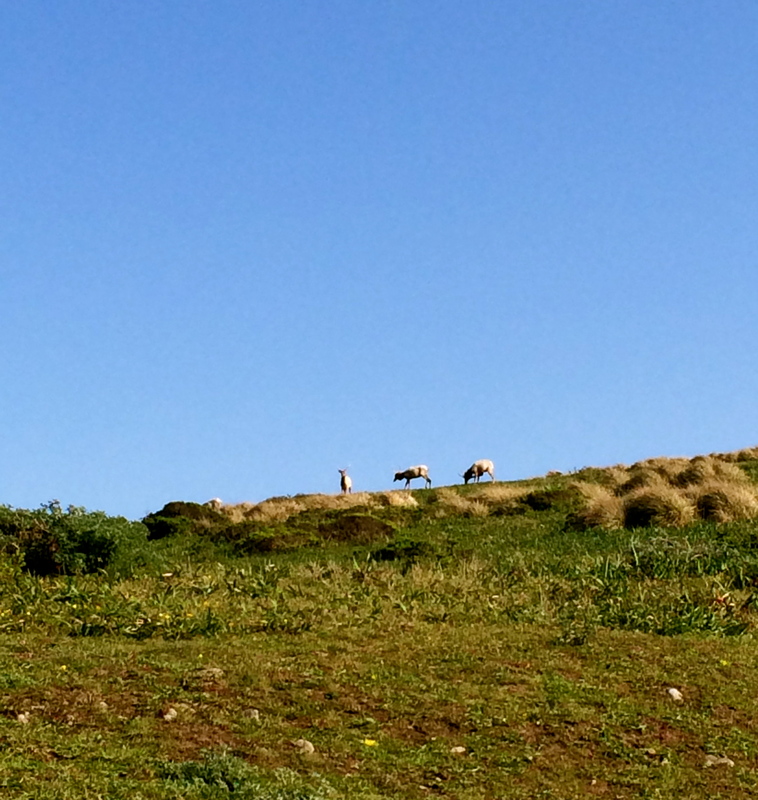 Our recommendation is that you stop at Cowgirl Creamery in Point Reyes Station for some cheese, crackers, and sandwiches, and picnic on the cliffs overlooking Tomales Point. The view can’t be beat and you might just find that you have a few Elk and whales keeping you company. This entry was posted in Cities, Explore, San Francisco, Stuff we love and tagged Elk, hiking, picnic, san francisco, Seashore, sunshine, Tomales Point Trail, Whale Watching.